Marine (Frank) Rose had been in HMS Dunedin at least since March 1941 and probably considerably before, when he was caught in the sinking. He is known to have escaped the sinking ship and to have made it to one of the Carley rafts. 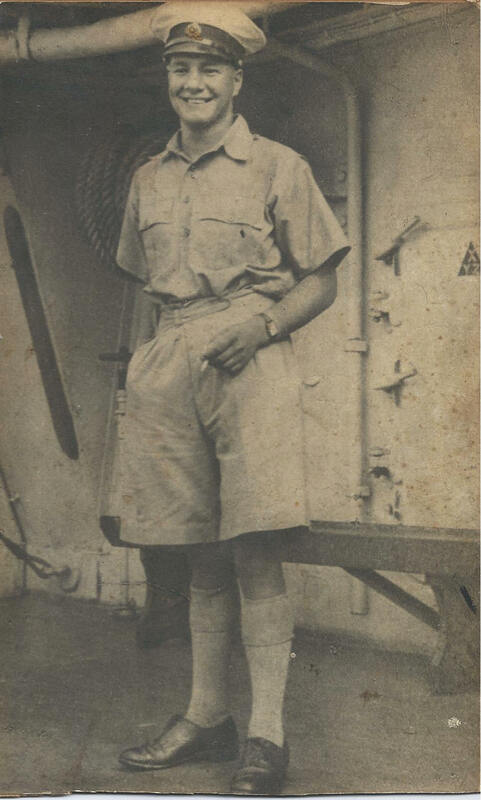 Survivor, Marine William Gill has fond memories of Frank Rose and remembers him being on his raft after the sinking. Frank was hanging over the side when a shark nuzzled up to him. Gill beat the shark away with the raft’s paddle, but, sadly, Gill doesn’t recall what happened to Frank except that he was among the many who didn’t survive. 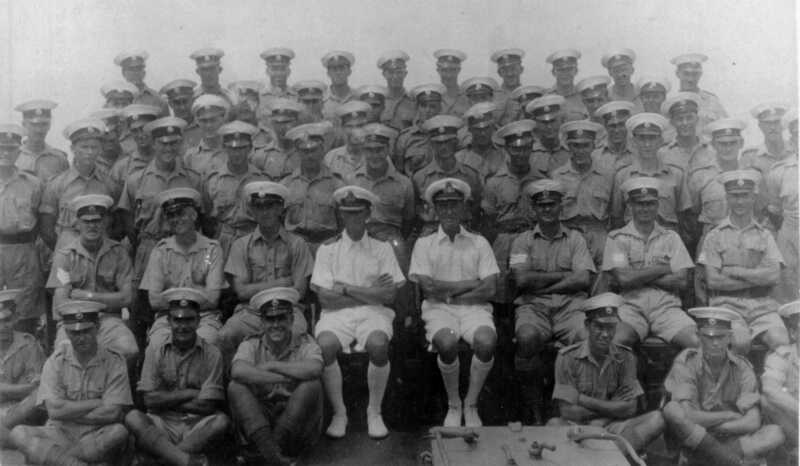 This picture, likely taken before March 1941, includes Marine Rose (centre, immediately behind Captain Lovatt (the left of the two officers)).